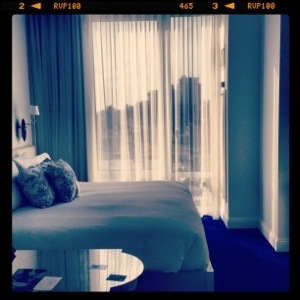 I spent my last two nights in NYC at the Mondrian Hotel. 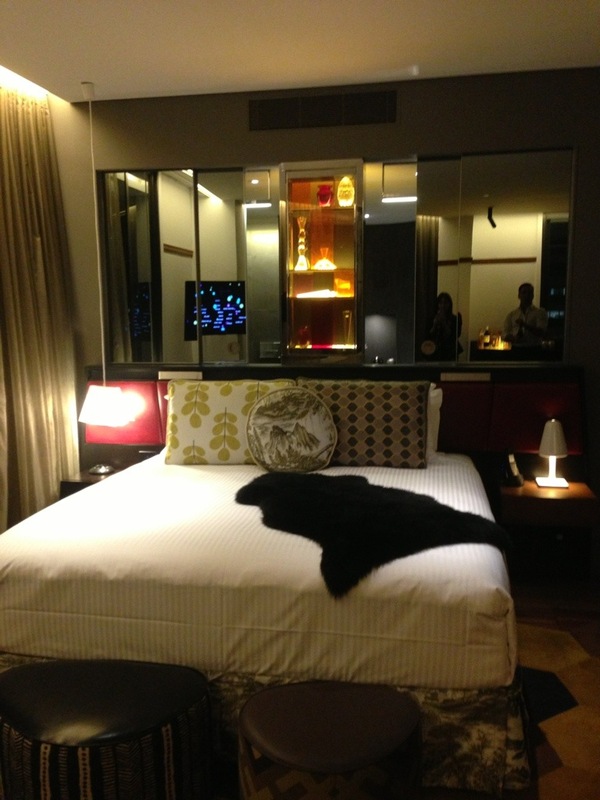 A completely different aesthetic to the Soho Grand, but a welcome stay none the less. Enter through an Alice in Wonderland-style garden atrium into the romantically blue-themed hotel inspired by Jean Cocteau’s 1946 French Film, La Belle Époque. 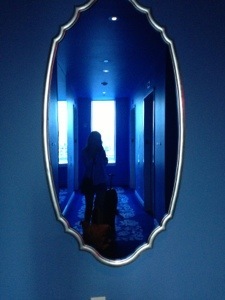 My eyes were met with mirrors, chandeliers, blue floral motifs and views across Soho on all levels. 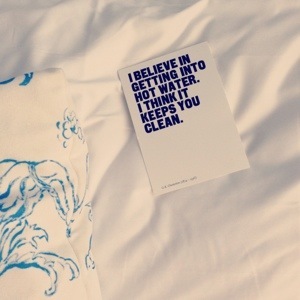 Beds were comfy and bathrooms offered Malin + Goetz apothecary products. 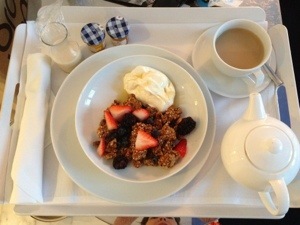 Room service before a long day of work was prompt but breakfast the next morning at the hotel’s greenhouse space, Isola; well, it took them 20 minutes to find me some salt and pepper! 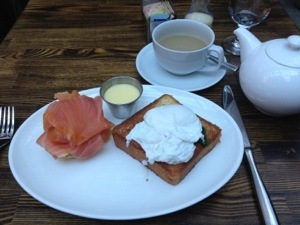 I’d finished my eggs benedict w smoked salmon by then, but they did make up for it with a pineapple juice on the house. The Morgans Hotel Group also has properties in Los Angeles and Miami. Heading to New York? Sleep here! 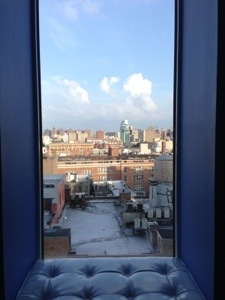 The Soho Grand was Manhattan’s original boutique hotel and lives up to it’s reputation as a hip hang out. 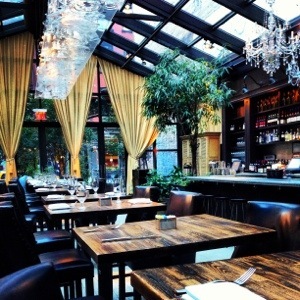 Within walking distance to The Soho neighbourhood’s shopping and galleries, the hotel also boasts a cool pop-up bar, Gilligan’s, in summer, it’s own dog park, and the best looking staff this side of a fashion week runway. 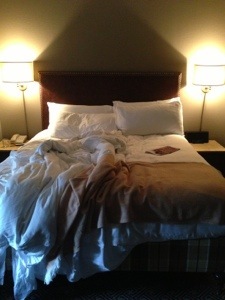 But most important to me are the beds, soooo comfy! 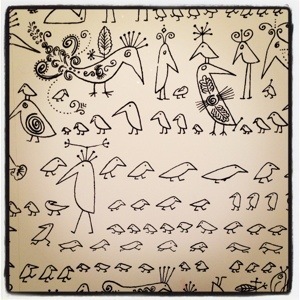 The wallpaper in the bathroom – courtesy of William Sofield – is pretty cool too.